Use GYPH to create a website in an interactive manner. Your website in a couple of minutes. 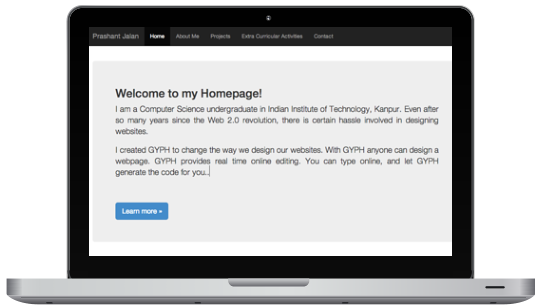 With GYPH you can edit a template online. Add links, text, images and much more. Needless to say, you don't need to pay for anything. If you appreciate my work, then please share it!